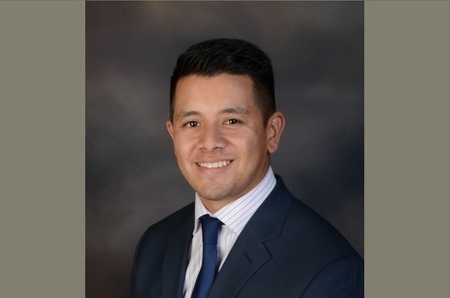 Abel Albarran joined Joyce Law Firm in May 2016 as a Law Clerk. While in law school, at the University of Arkansas School of Law, Abel participated as treasurer for the Hispanic Law Student Association and the Young Democrats. Abel also participated as a student-attorney in the immigration clinic at the University of Arkansas helping clients in areas such as naturalization, affirmative asylum applications, and DACA applications. Prior to attending law school, Abel attended the University of Arkansas in Fayetteville, graduating in 2010 with a Bachelor of Arts in Political Science. In December 2017, Abel received his Juris Doctor from the University of Arkansas School of Law. While in law school, Abel also worked at Cross, Gunter, Whiterspoon & Galchus in Little Rock, Arkansas. He also worked as a research assistant for Tiffany R. Murphy in her published law review article. Abel is licensed to practice law in Arkansas. He will be focusing on immigration and criminal defense as well as some family and civil matters. Originally from Santa Maria, California, Abel moved to Rogers, Arkansas with his family in 2002. As a first-generation American and the son of Mexican immigrants, Abel has always been involved with the Hispanic community in the area. As a soccer fanatic, Abel has played in the Rogers Men’s Soccer League with legendary teams such as “Los Astros” and “Atletico NWA.” Abel’s love for the game has allowed him to play with teammates from around the world and has allowed him to appreciate the similarities we all share. Abel is married to Paloma Albarran and they have three dogs: Sam (Boxer), Jacky (Yorkie), and Sandy (Pomeranian). Abel and his wife enjoy walking their dogs, biking the many trails in the area, and exploring all the great options Northwest Arkansas has to offer. Abel is fluent in Spanish.